A team that trains together, stays together, even if that means squeezing 11 people in a tent designed for eight. 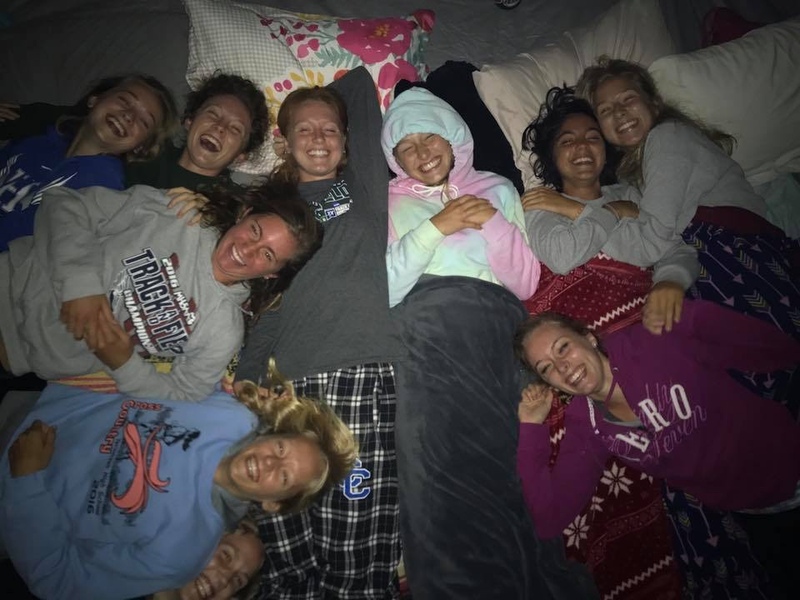 On Friday night, the women’s cross country team camped together under the stars as part of the Student Activ­ities Board campus camp out at Hayden Park. The team made s’mores, played vol­leyball, and watched a movie. The team bonding helped calm nerves as the Chargers prepare for the Spartan Invi­ta­tional in East Lansing, Michigan on Friday. Last year, Hillsdale fin­ished in second place with 104 points at the Spartan Invi­ta­tional, trailing closely behind Grand Valley State University’s 93 points. Six Chargers fin­ished among the top 50 racers, out of nearly 300 total. 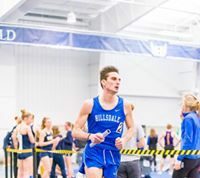 This year, Hillsdale enters the Spartan Invi­ta­tional with one race already com­pleted, a benefit the team did not have entering last year’s com­pe­tition in East Lansing. 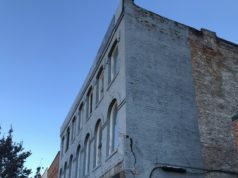 The Chargers will be com­peting against over 30 schools of all divi­sions, including Michigan State Uni­versity. Hillsdale fin­ished second to MSU in the Jeff Drenth Memorial, the season’s first meet. The Chargers will be running a 6k through the Forest Akers East Golf Course, which will be more of a chal­lenge com­pared to last meet’s 5k race. The team is feeling pre­pared with already having com­peted this season, however. Freshman Sophia Maeda said she is a bit nervous for her first 6k race, but is excited to try some­thing new. Maeda was one of four runners to achieve per­sonal best times in the season’s first meet. Sophomore Lauren Peterson also earned a per­sonal best and is looking forward to seeing greater headway. Peterson’s freshman season was cut short due to sickness. The Spartan Invi­ta­tional was her only race of the cross country season last year, so she said she is feeling very excited for this Friday. The team hopes to keep the momentum going and advance its progress.